Once logged in to Nagios XI you can navigate to the Admin menu then click on the License Information link on the left (However, many administrators simply forget to do so!). From the License Information screen you can view the time remaining on your license and/or click the renew now link to begin the renewal process. That’s all there is to it; nice and easy! 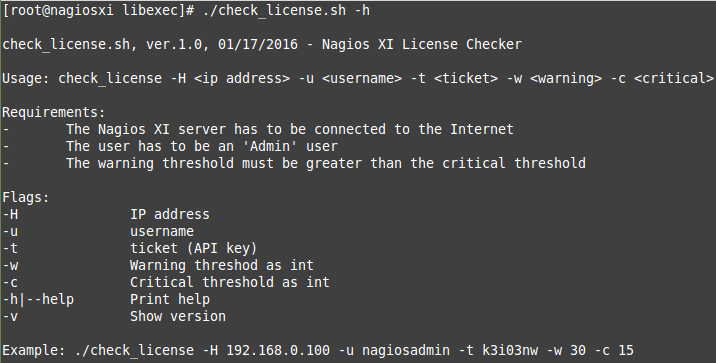 Some Nagios XI users showed interest in setting up a license status check in XI. Having such a check makes perfect sense. If you were notified that your license is about to expire, you would renew it on time thus avoiding any possible service interruptions. Also, you may be running several Nagios XI instances. You wouldn’t want to log in to each one just to check when each license expires. 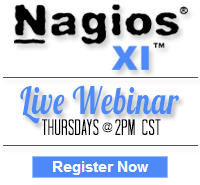 You could monitor all of the licenses from one central Nagios XI server. 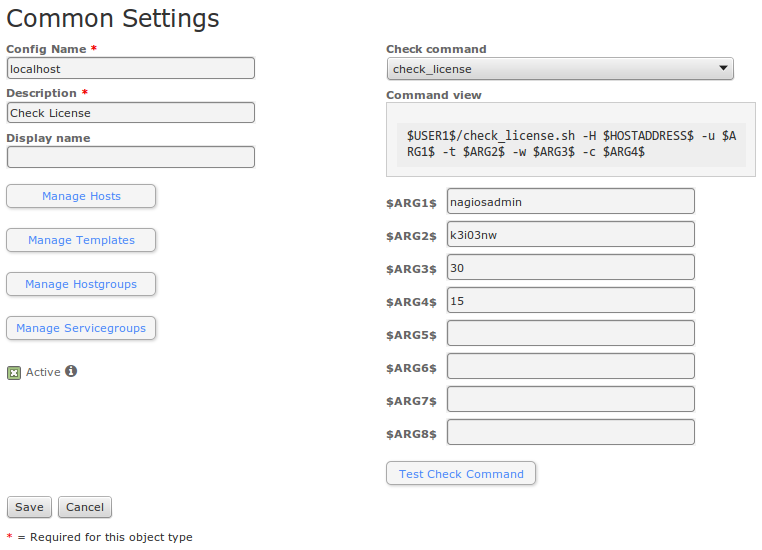 Install it as you would normally install any other plugin in Nagios XI. 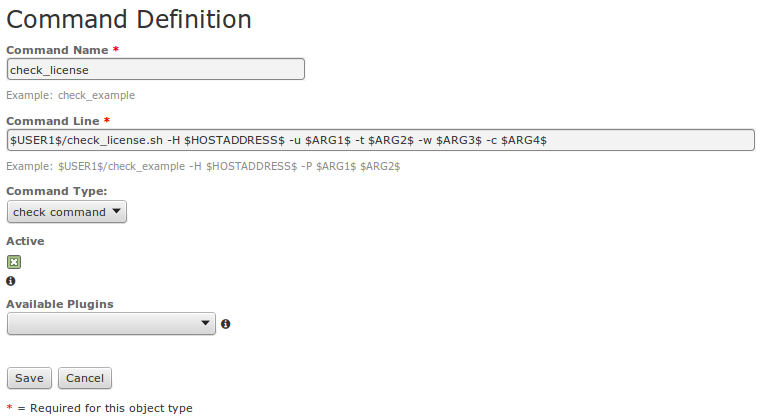 To view the usage (help) menu, run the plugin with passing a “-h” or “–help” flag. After you verify that the plugin works from the command line (see the example in the help menu), you can proceed with setting up a command and a service check under the Core Config Manager in Nagios XI. 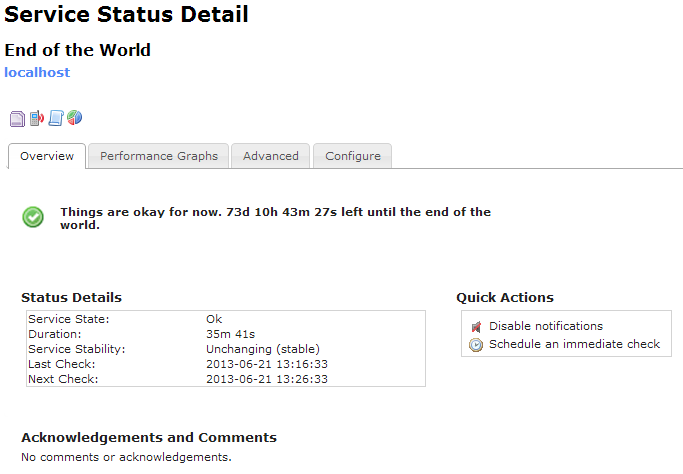 From the Nagios XI web interface go to the “Service Detail” menu and click on the newly added service. Schedule a forced immediate check to make sure the check returns the expected output. Category: Uncategorized. 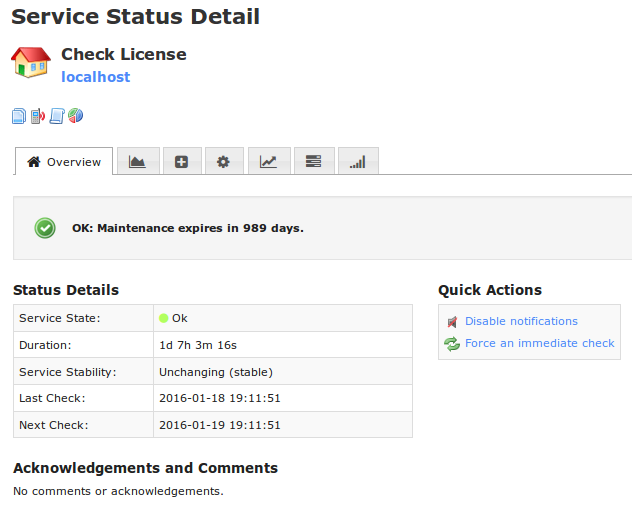 Closed Tags: license, maintenance status, monitoring, nagios xi, plugin, script. 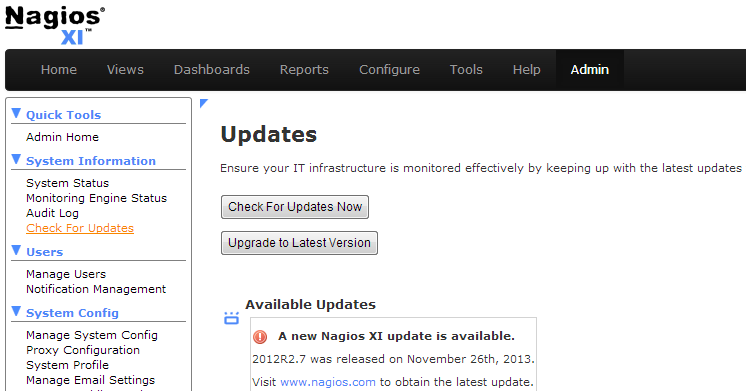 Upgrading to Nagios Xi 5? If you are using Nagios XI 2014 or later, you can upgrade your Nagios XI instance easily from the web UI, provided your server is connected to the Internet. From the Nagios XI web interface navigate to the Admin menu, click Check for Updates menu on the left, then click Check For Updates Now. If an update exists, the most recent version will be displayed and you can click the Upgrade to Latest Version button to start the upgrade process. Note: If you are running the most current version, the Upgrade to Latest Version button will not be displayed. Category: Nagios XI, UI and Updates. Closed Tags: easy, monitoring, nagios, nagios xi, UI, updates, upgrades.